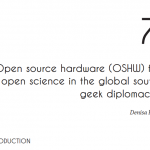 Denisa Kera just published a nice overview of various workshops and Open Source Hardware projects that happened in Yogyakarta from 2009 until now, and other projects, as part of a book publication “Open Science, open issues”. building low cost customizable laboratory equipment. 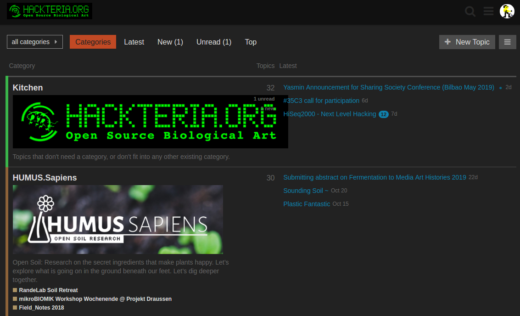 Examples of geek diplomacy include projects such as the Hackteria network for open biology or the Safecast radiation monitoring network and the Open Technology forever network. Both networks show an international grassroots innovation effort around OSHW that mobilised citizens into taking an active role in solving problems in their communities while rethinking the role of science and technology globally. 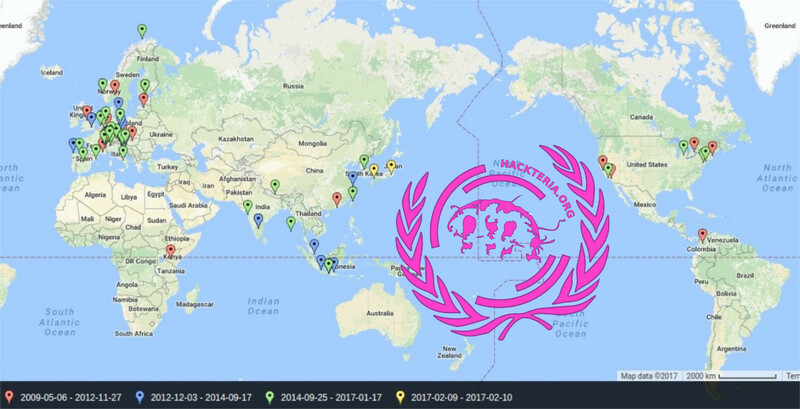 Geek diplomacy based on open science and open hardware efforts democratises the R&D process by making it more inclusive: it encourages the participation of various stakeholders and citizens from around the world that inspire each other by sharing data, protocols or schematics of hardware and design. R&D becomes less about diffusion and technology transfer, which perpetuate the various forms of science “divide”, and more about the value of cooperation and unique niche interests. This book brings contributions by researchers from different areas and a wide range of countries, including Brazil, who have a significant role and reflection in the field of open and collaborative science. The topic of open science is gaining ground not only within institutional environments for science, technology and innovation, but also in other contexts that, until now, were kept apart from these activities. As a result, it is mobilising other social groups as interlocutors of scientific practices. In turn, the resulting transformations in the relations between science, technology and society integrate the new dynamics of production and circulation of knowledge as well as the new role played by these dynamics in contemporary processes of social participation and change. 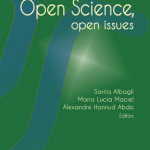 It is hoped that this publication will provide an overview of topics and issues that both trace and permeate the topic of open science nowadays from different perspectives and points of view. Above all, it is hoped that it might instigate further reflection and foster new ways of producing and circulating knowledge. Thus, it is geared not only towards the academic world, but also to abroader range of social actors that concern themselves with the democratisation of knowledge and information. 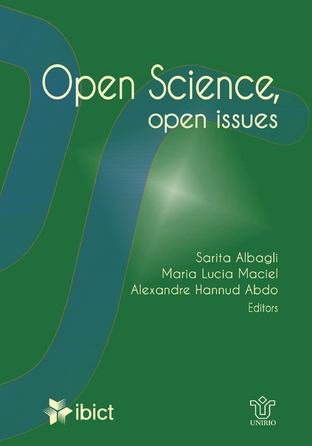 The book is inspired by the results of the discussions held during the International Seminar “Open Science, Open Questions” that took place in Rio de Janeiro in 2014.